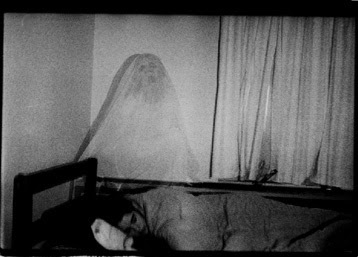 Scary Ghost Stories: Don't Wake Up Me like That! Don't Wake Up Me like That! This indicent happened during I was waiting for my SPM examination result. I had managed to graduate from the spooky boarding school, and then I stayed at home for approximately half a year before I was accepted to one of the higher learning institutions. During the waiting period, I took English lessons. So I had to take a bus to my class. I spent one and a half hour in the bus. A lot of exciting incidents had happened to me while I was in the bus. One of them was a hilarious one, I just couldn’t forget it until now. One day after my English class ended, I had to stay back a little while to complete my last minute assignment. Because of that, I missed my regular bus and had to take another bus. The bus was crowded, and I didn’t find an empty seat. I was very tired, and I didn’t realize that I actually dozed off while standing. When I woke up, a punjabi man was smiling right infront of my face. You know what? I was sleeping peacefully and I had landed my head right on his big stomach! Urghh! What a shame. But it was indeed very funny. Every time I remembered that incident, I would laugh until tears appeared at the corners of my eyes. Ha ha ha. Ok. Enough for the ordinary experience. Now I am going to tell you about what really did happen to me at that time. After I graduated from the boarding school, I came back home. My bedroom had been left for 2 years, and when the first time I entered it, I did feel a bit spooky. But after cleaning up the room, I felt okay. So, I didn’t worry much. However, when I started to attend my English classes, I started to experience some strange happenings in my own bedroom. I don’t know how I want to explain it to you, but everytime when I entered my bedroom, I would feel a gush of movement coming towards me. As if someone or something inside the room had always waiting for me there. And I felt as if the thing really wanted me to be with it. The gush of movement always attacked my face area, and it was a feeling of welcome, but at the same time, terrifying. I usually felt it when I entered the room after I came back from classes. I could feel like it missed me, somehow. But I tried to ignore the feeling. I thought it was just my thinking, and nothing else. So, I live with that thought for almost a month. And, nothing scary actually happened during that time. One night, I felt quite uneasy. I was worried but for no reasons at all. I kept thinking about something, but I didn’t know what it was. I tried to get rid of the feeling, but it wouldn’t get away. Finally, I dozed off after being so tired thinking. In my sleep, I dreamt. It was the strangest dream ever. I felt locked in my own dream. I tried to escape, but it was useless. I kicked and pushed and did everything. Nothing happened. It was like being prisoned in faraway land where nobody can ever rescue me. Suddenly I remembered to recite several religious verses. I collected all my effort and read every verse that I could remember. Inch by inch, I felt the lock began to loosen up. Maybe it sounded illogic, but I felt like the dream was not a dream, but a reality. I could feel everything. The tightness of the lock, my restricted ability to move. And when I started to read the verses, I could exactly feel my muscles loosen up and could be moved again. At that particular moment, I managed to wake up. I opened my eyes wide. I lay there, thinking what had happened to me. But I hadn’t any chance to think anymore than 2 seconds. Suddenly, a pair of heavy hands grabbed my back and pushed me to sit up on the bed. I was really shocked! I felt like I was getting crazy! What in the hell was that hands? What? My heart pounded heavily. I couldn’t think wisely at that time. I knew it was a pair of hands, but later I couldn’t see anything at my back. That night, I didn’t sleep. I switched on the lights until morning came. Until now, I didn’t tell anybody about this experience. Not even to my parents. Because I knew they would never believe me. If you want to leave a comment, please do so. Leave your email address so I could reach you if there are any latest experience that I want to share with you. Have a nice and productive day ahead. That sounds very scary!Is it an evil spirit do you think?Dogs will help ward evil ones off.You could try putting holy objets around your room that may help.Or try talking on an ouijii board, but that can be dangerous unless you have someone with you who knows what they are doing. My e-mail is hobbit14_@hotmail.com if you were wondering. Very creepy. Did you take the photo of the ghost? someone probably died in the room before you even moved in the house. because isnt that ghost screaming and moaning probably that ghost wants to sleep really badly in that room.